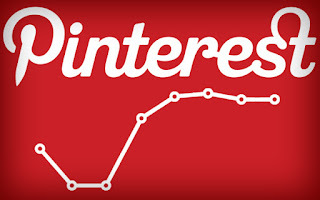 Pinterest is all about repins, the more repins your image gets, the more visibility it receives. Maximum visibility helps in getting free referral traffic to your website or blog. Google Trends can help you in choosing the topics for your shared pin. It's really easier to get traffic if you focus on creating content on topics that are really trending. People are already doing a lot of searches on these topics and the content available is less. Google always tries to find fresher and recently updates content. If your board gets a pin on the active trend then Google may send a lot of traffic to your pin which would help in receiving user attention. On the other hand, people searching on Pinterest on the trending topics will see your pin, thereby increasing the chances of repins. Do not make the mistake of keeping your pin description empty. Have a catchy description and include all the important points and information which you want to promote. A suitable description helps the people understand the topic clearly and easily. You can use hashtags to describe your pins the same way as you use in Twitter. Hashtags increases your pins visibility on the search results and on the trending topics. People are able to locate your pins easily and more repins are made this way. Remaining active is the key to capture a lot of user attention. If your board is constantly updated then it make your marketing activity even easier than before. Having lots of images on your board increases the chances of repins. You can schedule your pins to be posted at a time when people remain more active.Marketers face a lot of geographical boundations and time becomes an important factor to get the visibility that remains missing. If you are unable to spend hours together on pinterest, then it is always better to schedule your pins to be posted at a later time.